Signage | | Industrial Marking Services, Inc.Industrial Marking Services, Inc.
Signage - Industrial Marking Services, Inc. 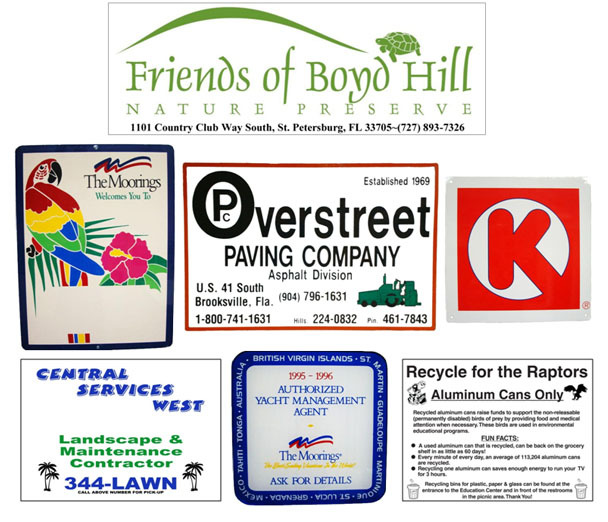 Advertise your business with a custom sign! Corrugated plastic signs are a lightweight and cost effective solution that can easily be mounted many ways due to its versatility. Because of the flexibility of corrugated plastic signs, they are commonly used in many industries such as special event directional signs, menu boards in diners or yard signs advertising your business. Custom signs are available in a variety of materials depending on your requirements. Each material has different benefits. If you are looking for temporary signage then a custom corrugated plastic sign would be suitable. If you are looking for a longer lasting signage material or need a larger sign, aluminum, laminated or magnetic signage is available. Whether you need a simple sign, or you’re looking to get noticed, we have a material to suit your needs.